We display a superb selection of new & pre-owned motorhomes. All of which are designed to suit all size, shapes, layouts & pockets. Dolphin is a family business with over 40 years' experience in the motorhome industry. We pride ourselves on offering exceptional customer care by looking after our new & existing customers. Our two branches in Southampton & Christchurch are open 7 days a week (all year round) and are motorhomes are kept open for viewing. 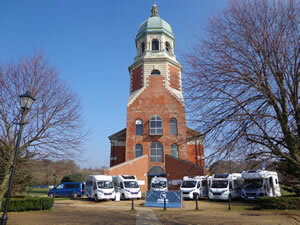 Join us for our Spring Event from Friday 22nd – Sunday 24th March at the Royal Victoria Country Park in Netley Abbey where we will be showcasing a large range of new & used motorhomes. View the EXCLUSIVE Swift Spirit range now! This Exclusive Swift Spirit range has 17 different models including a new Compact range launched for the 2019 season. Book a test drive now. The exciting new Elddis 'Envy' range is exclusive to Dolphin and has 12 different models. Come for a test drive now at both our Southampton and Christchurch branches. Are You Looking to Sell Your Motorhome? 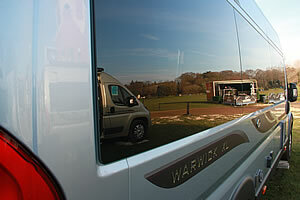 Due to the huge demand for motorhomes we are currently extremely short of used motorhome stock, HELP!! If you are thinking of selling your motorhome, contact Dolphin today! If you have comments about our website or business please use our Feedback Form. Your local motorhome dealer in Southampton, Hampshire UK and Christchurch, Dorset UK is open 7 days a week all year round. Our motorhome sales Hampshire branch is situated just 1 mile from the M27 junction 8 on the A3024 towards Southampton (See map). Our Dorset branch is situated on the Main A35 between Christchurch and Bournemouth (See map). Dolphin Motorhomes is a family run business that has over 40 years experience in the motorcaravan industry. 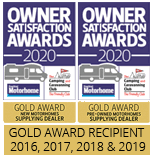 We display a large selection of new and used motorhomes from our motorhome depots in Southampton Hampshire and Christchurch Dorset. For more information please see our About Us page. We will be showcasing a selection of our new and used motorhomes and we would love for you to join us. Special Offers on ALL New and Used Motorhomes.